Oftentimes, it’s the small details that matter most. Most of the time, these are the details that get lost in a crowded inbox or left on a loose notebook page. Many people use their planner in conjunction with their career, writing down important meeting points, tracking business miles, and scheduling meetings with clients. Keeping these records gives you an additional resource when you’re making future plans. Before you store your planner pages, use page flags to mark the location of important information and make an index on your monthly planner page. Then you can find the information you need, right when you need it. Take a moment each day to write down your thoughts, or set down whatever is on your mind. As you go through the year, you’ll have a record of your thoughts and feelings. All of us bring up old memories from time to time. Psychology labels this process rumination, after the digestive systems of cows and similar creatures that chew their food multiple times. Most of the time, rumination helps you process and learn, but in some instances, it can lead you to believe that your current problems extend into the past and future – that you’ve always been a failure and always will be. While we’re on the topic of memory, your planner is a great place to keep your journal. Since you have a habit of writing in it every day, all it takes to turn it into your personal memory book is adding embellishments, photos, and other decorative touches. 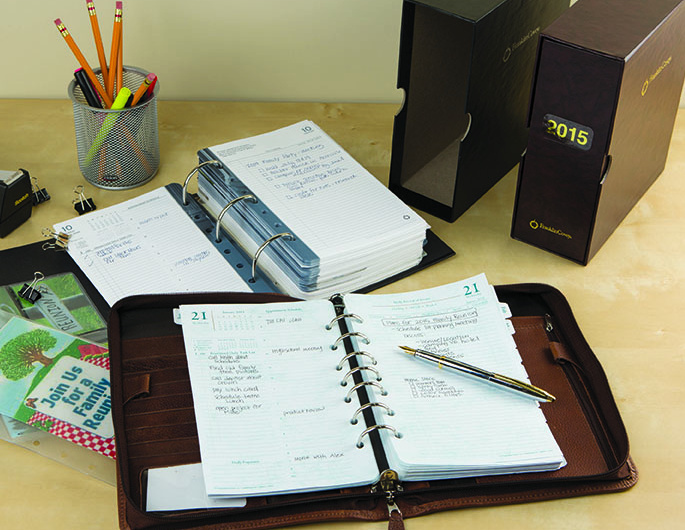 This helps your planner be more than a collection of facts; it turns it into a reminder of the richness of your life.